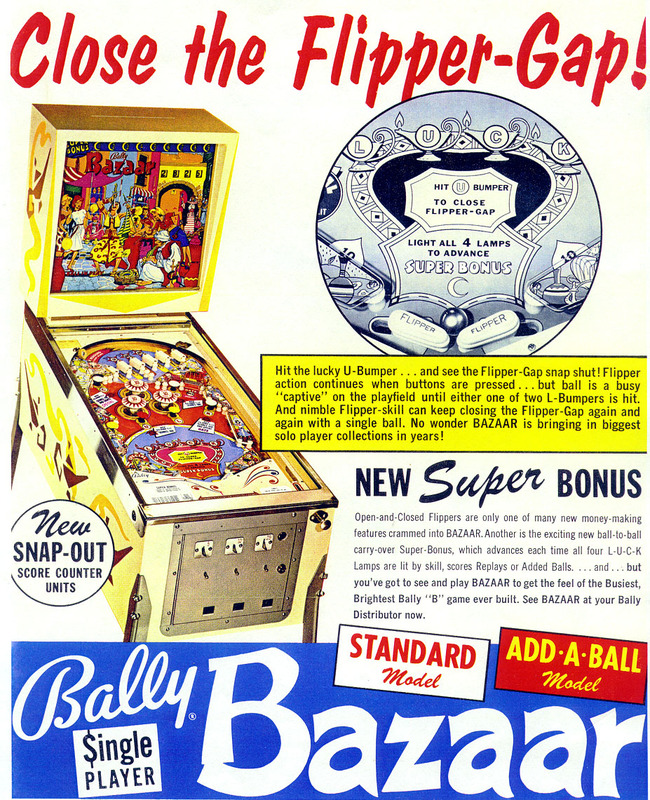 Bazaar was the first machine to use Zipper Flippers, invented by Ted Zale. Also made in an Add-a-Ball version for export to Italy. Carnival Queen was the first Magic screen game. The mystical Zultan - Animated Speaking Fortune Teller!